“Repenting of Our Consumerism & Ecological Destruction,” Ched Myers, Hollywood Seventh-day Adventist Church, Five Deadly Sins Series, March 16, 2013. Seven Weeks for Water, Lenten reflections from the World Council of Churches Ecumenical Water Network, written by Latin American and Caribbean theologians and environmentalists. Wild Lectionary, curated by Laurel Dykstra: each week, author-practitioners meditate on the week’s lectionary passage in relation to watershed discipleship. 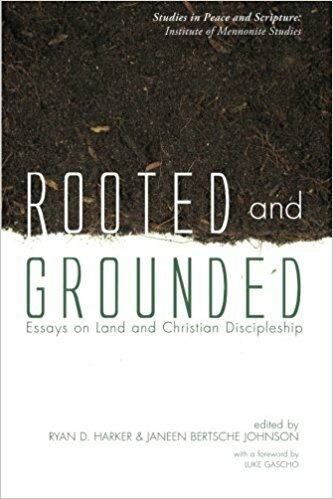 Rooted & Grounded: Essays on Land and Christian Discipleship, eds. Ryan D. Harker and Janeen Bertsche Johnson, Pickwick Publications, 2016. Foreword by Luke Gascho; chapters by: Wilma Bailey, J. Matthew Bonzo, Steve Bouma-Prediger, Nicholas R. Brown, Winn Collier, Ellen F. Davis, Raymond Epp, Ryan D. Harker, Matthew Humphrey, Elaine T. James, Loren L. Johns, Hannah E. Johnson, Ryan M. Juskus, Douglas D. H. Kaufman, S. Roy Kaufman, Richard J. Klinedinst, D. Ezra Miller, Barbara Rossing, Laura Schmidt Roberts, Rebecca Horner Shenton, Nathan T. Stucky, Adam M. L. Tice, and Patricia K. Tull. 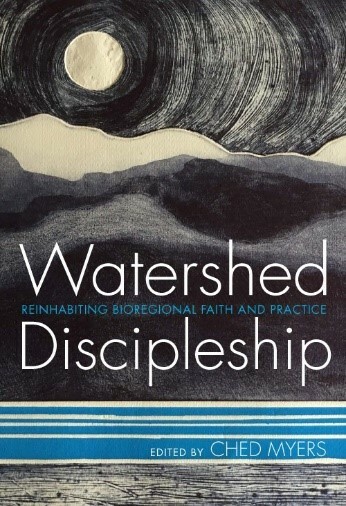 Watershed Discipleship: Reinhabiting Bioregional Faith & Practice, ed. Ched Myers, Cascade Books, 2016. Foreword by Denise M. Nadeau; chapters by: Ched Myers, Katerina Friesen, David Pritchett, Jonathan McRay, Lydia Wylie-Kellermann, Erinn Fahey, Sarah Thompson, Matthew Humphrey, Sarah Nolan, Erin Smyth, Reyna Ortega, Sasha Adkins, Tevyn East, and Jay Beck. 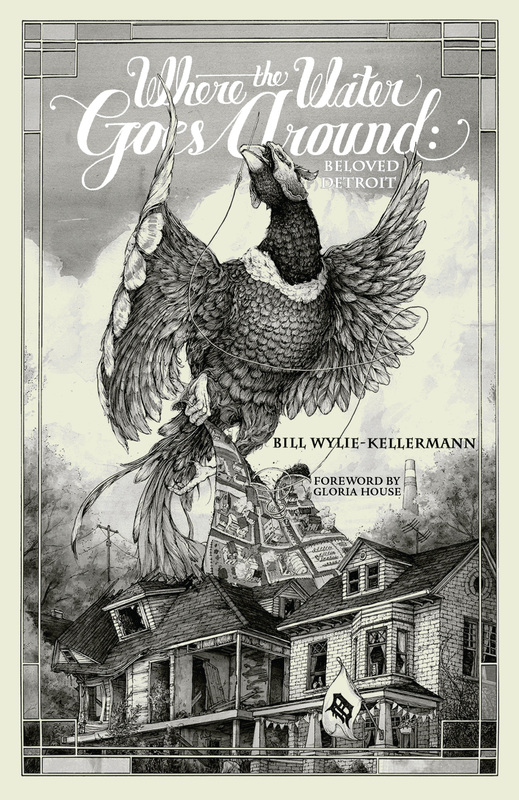 Where the Water Goes Around: Beloved Detroit, Bill Wylie-Kellermann, Cascade Books, 2017. “A Reflection on Isaiah 5, Ecological Solipsism, and “Watershed Discipleship,” Ched Myers, first published in the Bartimaeus Cooperative Ministries Partners E-News, July 2010. “From ‘Creation Care’ to ‘Watershed Discipleship’: Re-Placing Ecological Theology and Practice.” This is an edited and expanded version of a paper given by Ched Myers to the Mennonite Scholars and Friends Section of the AAR/SBL on November 23, 2013 in Baltimore, MD, published in the Conrad Grebel Review, Vol. 32, No. 3, Fall 2014, pp. 250-275. 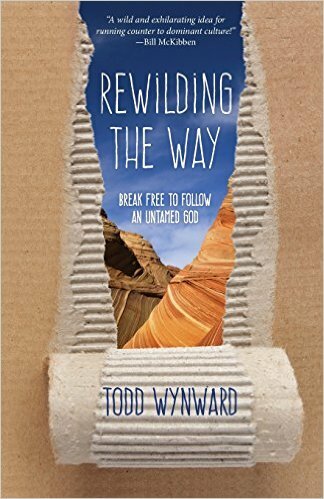 In Sojourners Magazine, Ched Myers discusses how watershed discipleship invites Christians to “re-inhabit” that corner of creation in which we reside. “A Watershed Moment,” Sojourners, May 2014. “The Tree at the Center of the World? A Meditation on California Oak Trees,” excerpt from Who Will Roll Away the Stone? Ched Myers (1994). Watershed disciples: Studying the local landscape, The Christian Century, Katherine Mast (October 15, 2014). (Please note: there are limited free viewings per month of articles at this website). This reflection by Nathan Holst reflects on his internship at Bartimaeus Cooperative in California: Claiming the Call of Watershed Discipleship. Published on the EcoFaith Recovery website (October 10, 2014). Ted Lewis explores naming, taming, overcoming and resolving conflict in the desert, that most brittle of watersheds in this edited version of a series of four blog posts on www.restorativetrainer.com. 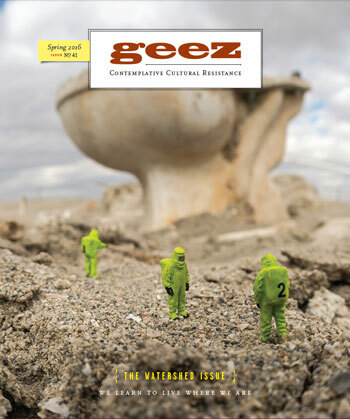 Read the article here (November 2014). 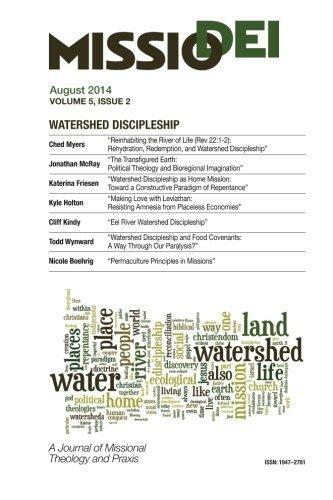 Reinhabiting Place: The Work of Bioregional Discipleship, The Other Journal, Matthew W. Humphrey (October 13, 2014). 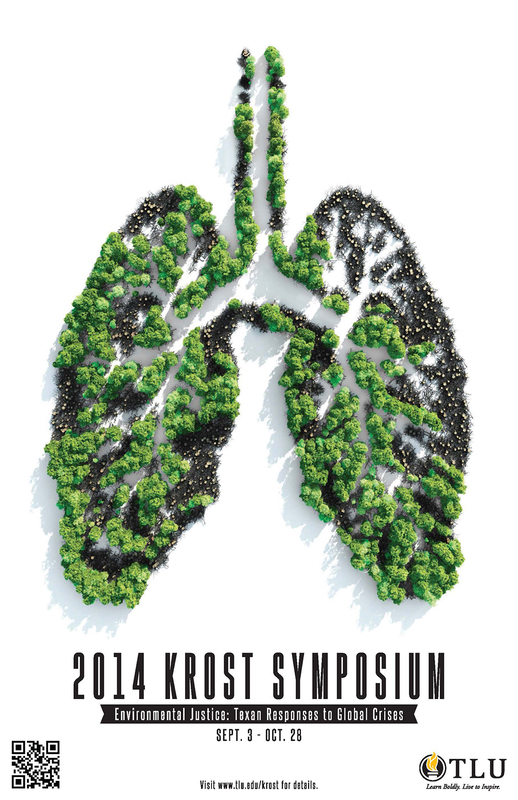 Lucas Land posted a video of a talk he gave on Watershed Discipleship: An Ethical/Theological Framework at Texas Lutheran University’s Krost Symposium on Environmental Justice on October 16, 2014. 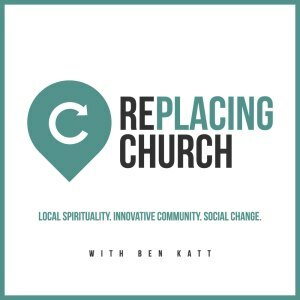 RePlacing Church podcast by Ben Katt interviews Ched Myers on watershed discipleship, April 20, 2017. 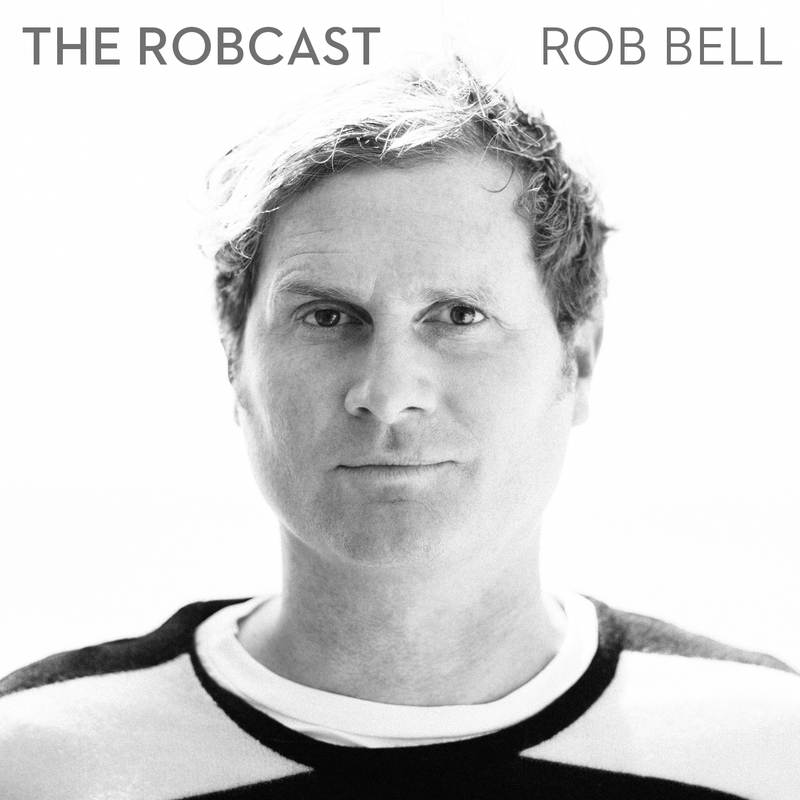 The RobCast with Rob Bell interviews Ched Myers on watershed discipleship, May 21, 2017. Webinars and “Bartcast” of Bartimaeus Cooperative Ministries: These address social justice and the church, and often also include topics related to the environment and/or watershed discipleship. Recorded webinar: Impact of Environmental Injustice on Low-Income and Communities of Color, Presbyterian Hunger Program, Shantha Ready Alonso, Elona Street-Stewart, Grace Ji-Sun Kim, November 14, 2017. Recorded webinar: Bioregional Food Covenant and Watershed Discipleship, Presbyterian Hunger Program, Vickie Machado, Ched Myers, Todd Wynward, April 14, 2014. Videos from “Coming into the Watershed: Permaculture, Ecoliteracy and Bioregional Discipleship,” Bartimaeus Institute: “Watershed Ecology & Restorative Justice,” part 1 and part 2, Elaine Enns; “Theo-logic of Bioregionalism,” part 1 and part 2, Ched Myers, October 11-14, 2013. Elaine Enns and Ched Myers speak on watershed discipleship and restorative justice at Point Loma Nazarene University, November 27, 2017.